This year Law Week begins on the 16th May. Walks for Justice will be held in South Australia, Queensland and, for the first time, Western Australia on Tuesday the 17th. The Walks for Justice have grown each year, allowing more funds to be raised for pro bono referral organisations in these states, and greater competition for the top fund raising teams in each jurisdiction. The inaugural Law Access Walk for Justice in Perth will begin at 7:30am. Walkers will travel the 4.4 kilometres from the Bell Tower to Point Fraser and back, celebrating at the finish line with a complimentary breakfast at Analakshmi Restaurant on the foreshore. 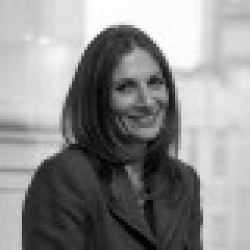 The walk will be led by a group of Event Ambassadors, comprised of members of the judiciary and leaders in the profession – including heads of professional associations and Deans of Law Schools. Prizes for top fundraisers will be awarded at the breakfast, as will a shield for the university team and a cup for the law firm team who raise the most funds, and rewards for the highest fundraising individual and individual student. Registration is free through Everyday Hero. The walk in Adelaide departs from North Terrace at 7.30am, bound for hot breakfast and prize-giving in Victoria Square, via the Botanic Gardens. Special guests will include Chief Justice Kourakis and other members for the JusticeNet SA ‘Breakfast Club’. 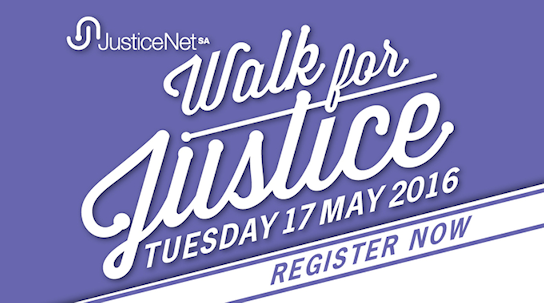 Registrations (just $20 per adult and $10 for students) are now open through the JusticeNet SA Walk for Justice Portal, with more information on the event – including special guests, prizes and the coveted ‘Walk for Justice Cup’ – available there and at www.justicenetsa.org.au. In Queensland, QPILCH (the Queensland Public Interest Law Clearing House) will host a record seven events in Brisbane, Toowoomba, Mackay, Townsville, Cairns, Gold Coast and Sunshine Coast. Early bird registration (before 30 April 2016) is only $25 for adults and $15 for students. While prizes will be awarded to the top fundraising team and individuals, breakfast will be served for all walkers. Registration for Queensland walkers is available here and via the QPILCH website. Justice Connect will be putting teams together for events like Run Melbourne and the City to Surf rather than holding the Walk for Justice in Melbourne and Sydney. Justice Connect will also be holding events in Melbourne and Sydney during the month of May; more details are available on the Justice Connect events page.